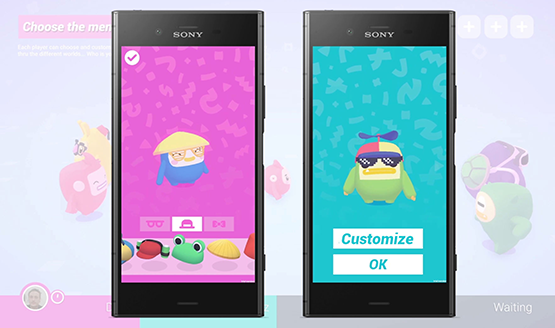 Sony’s PlayLink initiative has been an interesting experiment for party games and co-op titles. Adopting a similar approach to Jackbox party games, players use their phone as the controller, enabling unique features that aren’t present on a standard DualShock 4. PlayLink games bridge that gap between video games and physical party games, allowing for cooperation and subversion in titles like Hidden Agenda, and trivia antics in something like Knowledge is Power. If we can somehow turn a crime thriller into a party game, then why not platforming? Melbits World reminds me a lot of Lemmings. You won’t be controlling the melbits themselves, but your actions will determine how they traverse each level. Designed for two to four players, each person controls one or two aspects of the environment, be it a moving block, a bouncy spring pad, rotating platforms, or a variety of other obstacles and traversal mechanics. Each object is controlled by different types of gestures on your phone, like tapping the screen, swiping, or rotating your whole device. Ultimately your goal is take get at least two of the four melbits that spawn at the entry pipe to the exit pipe, collecting a variety of small collectibles and objects along the way. At first seemingly straightforward, levels quickly become difficult and more complex. Looping paths to collect items, viruses that kill melbits and attack your phone, and juggling multiple melbits and environmental obstacles all at once each lend themselves to the challenge. The game is altogether easier with four players, as it divides up control of the obstacles more evenly, though communication then becomes the challenge. With only two players, you not only have to focus on the multiple objects you control, but also on which side of your phone screen does what. Figuring out how to get every item in each level will test your communication, coordination, and perhaps most importantly, your patience. Your patience won’t only be tested in collecting items though. Just playing Melbits World is a trial in doing a lot of waiting around for melbits to get to where you want them to be. Players can hold a fast-forward button, but all players need to be holding it in order for the game to actually speed up (I presume to prevent one person from being able to troll everyone else). Sometimes the division of controlled objects is such that one player does almost everything for the first half of the level, while the other player does everything for the second half (in a two player game. With four players, it gets diluted even more). 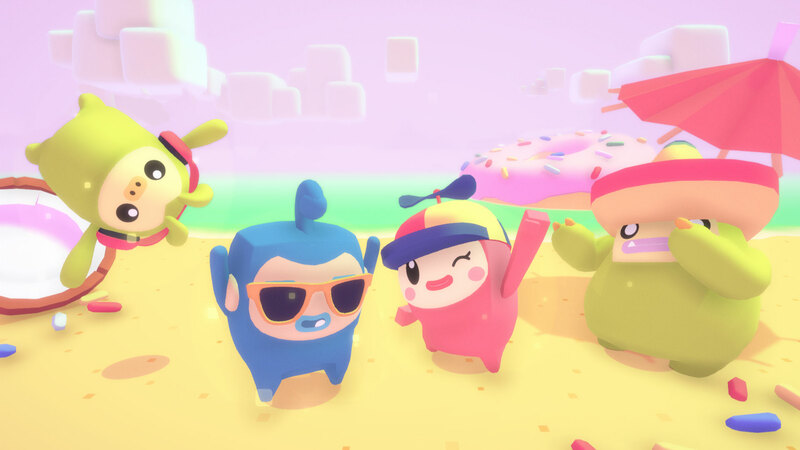 Melbits World is a fun little game, but its addition to the PlayLink lineup comes across as more of a gimmick than necessitating the use of the phone for play. Nearly everything the phone does for the game could be just as easily accomplished with the DualShock 4 controller, especially with the touch pad. Sure, there are some fun and fanciful little tricks, like dressing up your melbit with items you collect across the game and taking a selfie to identify which environmental objects are yours to control, but those are ancillary mechanics. Nothing about the core gameplay of Melbits World really justifies the need to get everyone to download a whole separate app just to play it. A great party game is fun and engaging for all players involved, and drives the feeling of “just one more round” each time a level or session comes to an end. Though there’s a feeling of satisfied accomplishment for completing a level perfectly, Melbits World never really pushed me to keep playing. Managing the paths of the melbits began to feel more like a chore than a party game, and whether or not I wanted to keep playing, my wife was done with it. Sorry solo players. You have to have at least one other person that wants to play with you, and my co-op buddy didn’t find enough enjoyment to endure, let alone replay levels in search of those perfect completions. The pacing is just a bit too slow to justify wanting to hop back in. I suppose if you want a real challenge you can attempt to play it solo with two phones. It’s definitely possible to some extent. I tried it myself for a few stages, but again, the pacing often made me ask “is this over yet?” rather than rearing for one more level. This isn’t going to be the game I’m loading up when friends and family come to visit. It might be a fun distraction, but like most PlayLink games, there are a few too many hurdles for it to become a first-choice party game. It’s a big ask to get everyone to connect to my home WiFi and then get them all to download a new app on their phones just to play a few levels and then get bored. In fact, even my wife has already asked me if she can delete Melbits World off her phone. Guess I’m not getting that Platinum Trophy. That’s really an issue with the PlayLink initiative in general. Often compared to Jackbox games, the PlayLink games are encumbered with the need to download an entire app (as opposed to just visiting the simple and clean Jackbox website) and connect to the local WiFi network. The games are often too involved to be simple and spontaneous party games. There’s definitely a unique angle that using a phone as a controller can bring to a game, but Melbits World doesn’t make the most optimal use of an already clunky initiative. Conceptually, I have to praise Melbot Studios for the themes of positivity in the game. Melbits are creatures that spread good vibes and positivity on the internet, so they idea that we’re helping this little beings in order to promote peace, love, and understanding is a message that I can get behind. Aside from the really cute visuals though, it’s not enough of a theme to incur replayability. I’m sure having four regular players might make it more engaging to play more often, but that’s a very specific and niche audience to absolutely need multiple people to even play the game, let alone enjoy it. 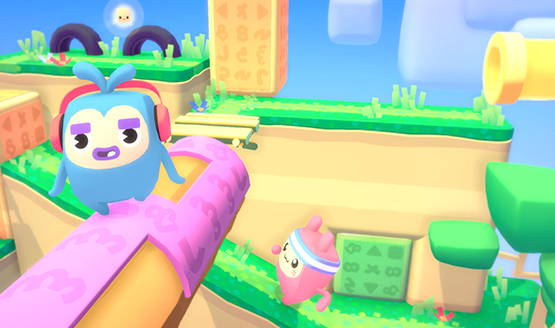 Melbits World is an interesting and fun party puzzle platformer, but its pacing is just a (mel)bit too slow to encourage repeated or long gameplay sessions. It’s very simple concept requires too many hurdles through the PlayLink system to be the type of game that gets pulled out for parties or gatherings. If I’m going to ask friends or family to download and app and connect to my WiFi, the payoff needs to be worth it, otherwise I’m better off just handing them a controller. Melbits World doesn’t use unique phone features enough to justify being part of the PlayLink initiative in the same way that Knowledge is Power or That’s You! do. It’s well built and entertaining enough, but falls short of being the kind of thing that could help really define PlayLink. Instead it proves that Sony’s phones-as-a-controller concept still has some wrinkles to be ironed it. Melbits World review copy provided by publisher. Version 1.00 reviewed on a standard PS4. For more information on scoring, please read our Review Policy.